One of my pet peeves with my kids is how frivolously they take care of their electronics, especially their phones. As teenagers, they throw their phones in their backpacks, misplace them, or drop them. 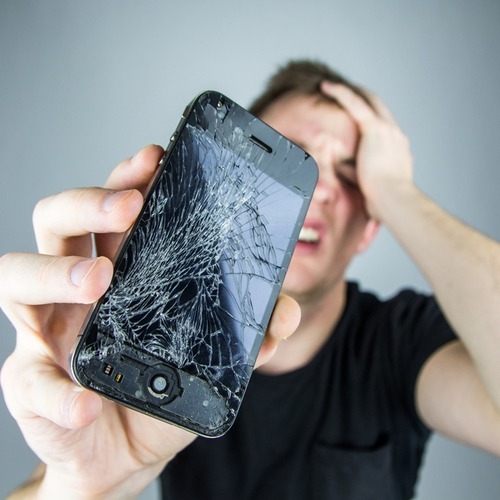 We have gone through a ton of cracked phone screens, and it is frustrating. In college, a broken phone or computer can bring on a wealth of anxiety and panic. Plus, college students actually use their phones, tablets, or laptops to check-in to a class, take notes, and even to take tests and quizzes. Since mom and dad are not there to rescue them, they must navigate the tech repair world alone, but be ready for the panicked call telling you they don’t know what to do. Firstly, I highly recommend that they have a habit of backing up all of their electronics. I personally use a Passport for my mac, but some of our writers use Mozy. They can backup manually, daily, or on a fixed schedule. Some back up their Macbook to the iCloud. This way, your student won’t run into a problem of losing all of their data and work. As for phones, encourage them to back them up often, especially since the thought of losing the thousands of pictures they probably have is devastating to them. And by all means, make sure they have a sturdy case. I know that the cutesy, fun ones are cool to have, but the bulkier, stronger ones will save money and stress if the phone is ever dropped. They do have some great cases on Casetify and they offer a 15% student discount with a verified student status registration, or look through and get 20% off the entire order when purchasing two items. The USF Service Center is in the Library (LIB117) and has authorized service providers for Apple, Dell, HP, Lenova, Microsoft, and Samsung. They provide data recovery services, set up, diagnostics, software set up, and virus removal. The USF Computer Store located in the Marshall Center is a drop-off/pick up location for your computers. There are fees for different services, and private appointments can be made for $30 for 30 minutes. Both are closed on weekends. IT Service Desk provides support for MyUSF, student email accounts, connecting to USF resources, and more. They are open M-F 8am-5pm. IT Walk-Up Service Center is in the Library and at the WELL. Contact them at 813-974-1222 or help@usf.edu. ServiceNow is where students can log in to chat with IT Help Desk and submit requests. MIT Computers – On Fowler Ave. and on Bruce B Downs also do work on TVs and game consoles. Dr. Phone Fix & Repair – On Bruce B Downs. Wireless World Fowler – They do repairs and have all accessories needed for cables, chargers, cases, and parts. CELLFIX (USF AREA) FLETCHER – They do repairs, unblocking, and fix water damage. Best Buy – On Highwoods Preserve Pkwy. Their Geek Squad offers repairs and support for electronics and phones. They offer 24/7/365 tech support.